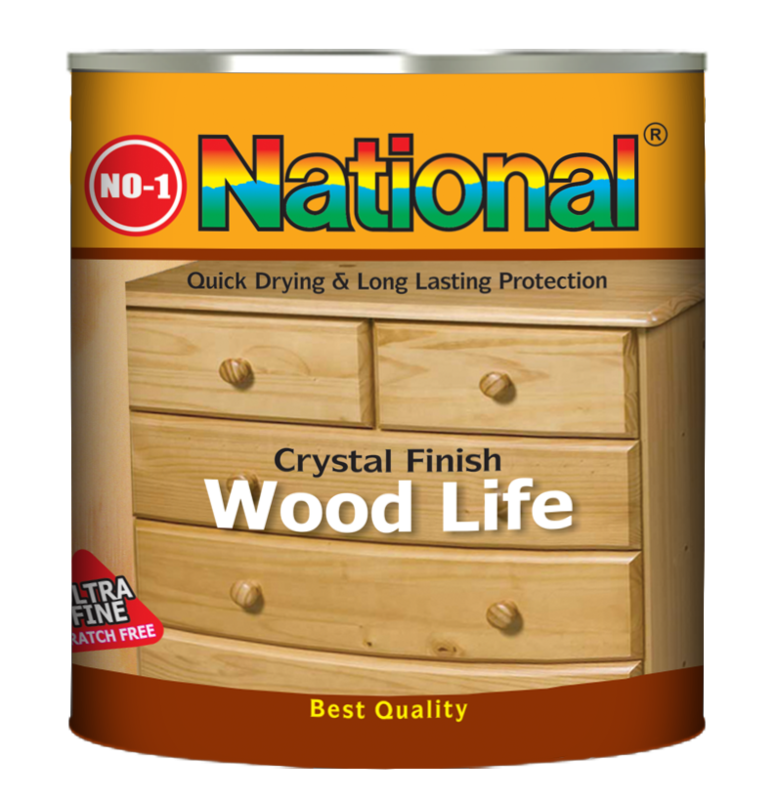 No 1 National Wood Life is a high quality clear top coat. It is suitable for all types of wooden furniture, door and windows. New or bare surface must be clean, dry and free from dirt, grease and wax etc. Previously painted surface should be clean dry, free for all defective and poorly adhering material, dirt, grease and wax etc. Surfaces must be scuffed in the direction of grains. After surface preparation with No 1 National Wood Sealer Apply two to three coats of No 1 National Wood Clear and leave it to dry.